T and C heading toward the seats. 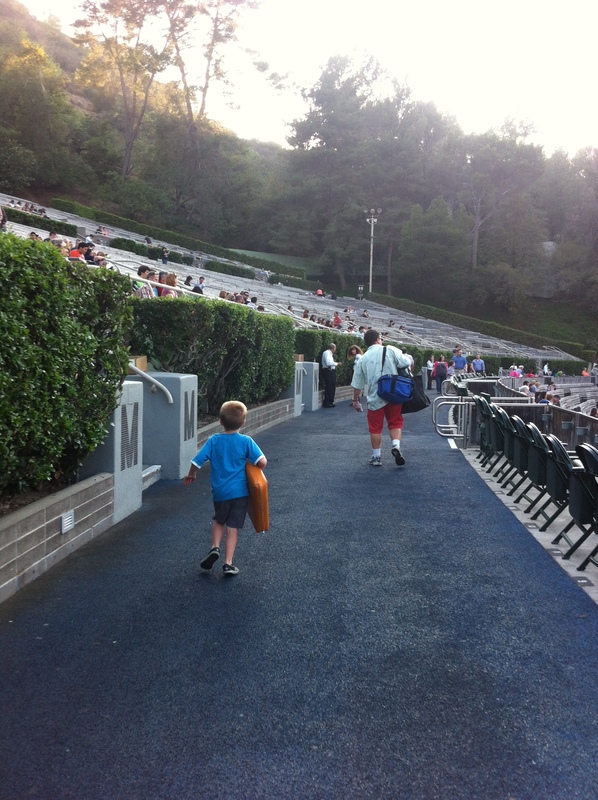 Carrying a lot of food and drink is part of the fun of going to the Hollywood Bowl. Yes, you can take in your own food and drinks, including bottles of wine, beer, and other adult beverages of your choosing. Be responsible, RMT’ers!